Marine Lance Cpl. Ryan Winslow of Hoover died while serving in Iraq. Photo special to the Journal. The photo used was one of the late Marine Lance Cpl. 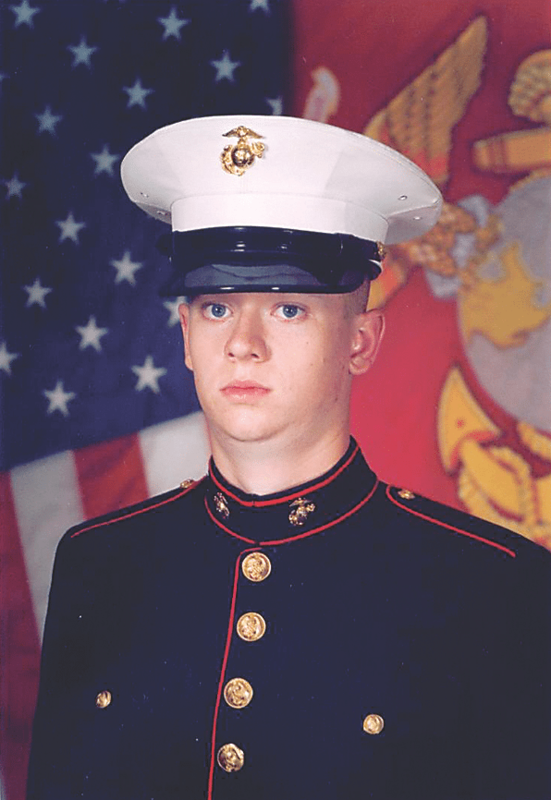 Ryan Winslow of Hoover, who lost his life at the age of 19 while on tour in Iraq. Following Winslow’s death, on April 15, 2006, then-state Rep. Paul DeMarco met with his parents, Marynell and George Winslow, and the three began discussing ways they could honor the couple’s son as well as all other fallen servicemen and women from Alabama. Together, they founded the Alabama Gold Star Families, a non-profit support group for families of fallen Alabama servicemen and women. Since its establishment, the group has funded the installation of a veterans’ memorial at Hoover’s Veterans Park, and DeMarco got a bill passed by the Legislature to establish the Alabama Gold Star Family license plate, which is available to members of the immediate family of a person killed while on active duty in all branches of the U.S. military. A bronze bust of Ryan Winslow rests in Aldridge Garden’s Gateway Pentagon Plaza. It was presented during the 2016 dedication of the Veterans Memorial Arbor alongside one of Rivers in celebration of their memory and service to the country. Support Our Soldiers, a non-profit organization founded by Charon and Thomas Rivers in honor of their late son, will host its 7th annual Memorial Day dinner on May 31 in order to honor the day of remembrance and will raise funds to send care packages to troops who are serving abroad. For more information, visit supportoursoldiersalabama.org.